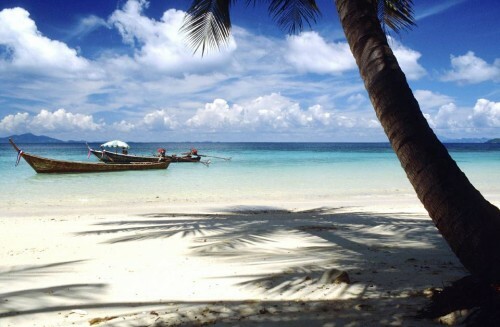 Cheap flights to Thailand: Bangkok in main season from Prague/Athens for €345! Ukraine International Airlines now offers cheap flights to Thailand in main season from Czech Republic/Greece. 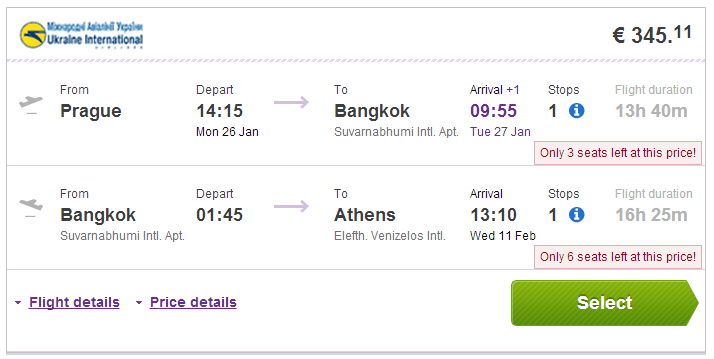 Multicity tickets to Thailand on route Prague – Bangkok – Athens are available for only €345! If you prefer return directly to Prague, you will have to pay €454 which is still great price for this time of the year. Aegean has direct flights between Prague and Athens daily and you won’t be that much because it’s low season in Europe. 23 kg luggage is included and there is one stopover in Kiev. Travel dates are in main season in Thailand – from November until end of March 2015. Book via BudgetAir for the best price (click on Show extra search options to enter return to Athens). « New PolskiBus tickets for Christmas and New Year from €0.25!